This was more like it! Could have made a few better decisions, but I spent the large majority of the night watching bands instead of trekking around or waiting for set-ups and soundchecks. My Education was in the middle of their last song as I walked into the outdoor stage at Emo’s, and they blew me away with a hypnotic dance-rock crescendo that didn’t fit the earlier music I’ve heard from them much at all. I need to see them again soon, it sounds like they’ve expanded quite a ways beyond the pastoral instrumentals (with catharsis) that I used to know on Italian. Planets weren’t listed any where I could find except on the stage list of bands playing at Emo’s inside, but they were plenty good. More of this enthusiastic punk rock stuff, please! Smoke and Feathers were starting up outside after Planets wrapped up, but the most impressive thing about them was their beards. They were like the poor man’s ZZ Top, where even the drummer couldn’t afford a razor. (I kid, I’m a bearded man myself.) Their bluesy swamp rock was not really my thing, though the non-singing guitarist got my hopes up by playing what sounded like a few bars of a Caustic Resin song. 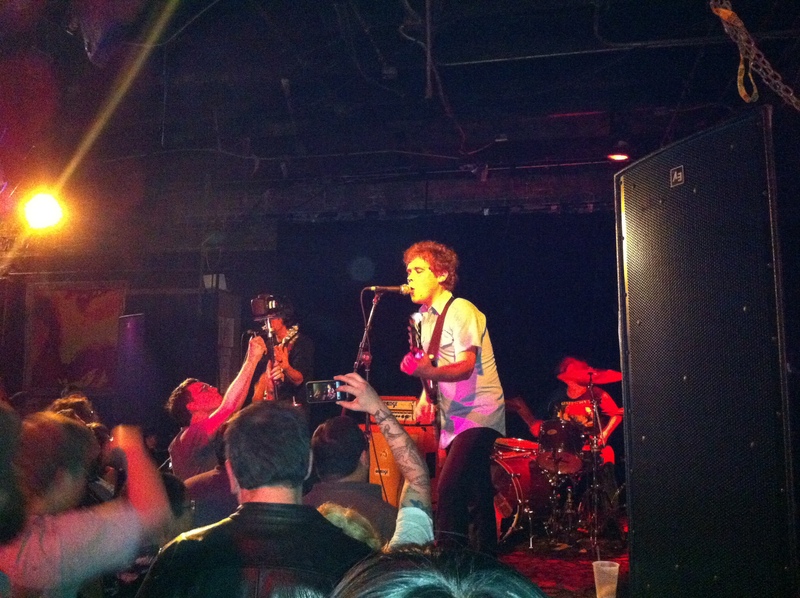 Fleshlights were great, the Emo’s inside stage was definitely the place to be this night. I hadn’t seen them live yet and was really impressed with how great their drummer and guitarist were. Nothing against the bass-playing either, but the guitar and drums took typical punk songs way over the top, high energy fills and breaks everywhere possible and fairly inventive guitar solos sounding even more amazing with no rhythm guitar to cover them up. Moshing ensued, how could it not? 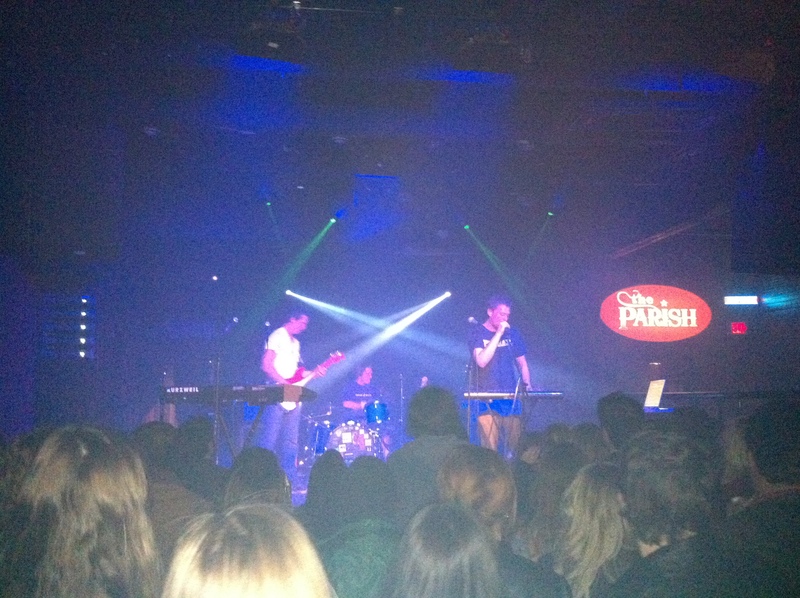 I ducked over to The Parish to see Freshmillions, who I’ve heard nothing but good things about. I got inside right as they started, and they did indeed have all the ingredients that got me excited to see them – samples and synths along with rock guitar and bass over dance beats – but it just seemed hollow. Kind of like confidence rock without the vocals. Disappointing for me, but the Parish had a big enthusiastic crowd there to see the band. Back at Emo’s inside, Elvis was getting off to a great start. I don’t think I’d seen them with this bassist before, but Brian was in great form, loving to sneer and piss off people who don’t like his act. Those who do ate it up, of course. Many songs about lust and boredom, and they sounded better than I’ve heard in a while. After they announced that “Elvis has fucked the building”, I decided to head out the door via the outside stage instead of stay for what really looked to be an amazing end of the night with Rayon Beach and A Giant Dog. 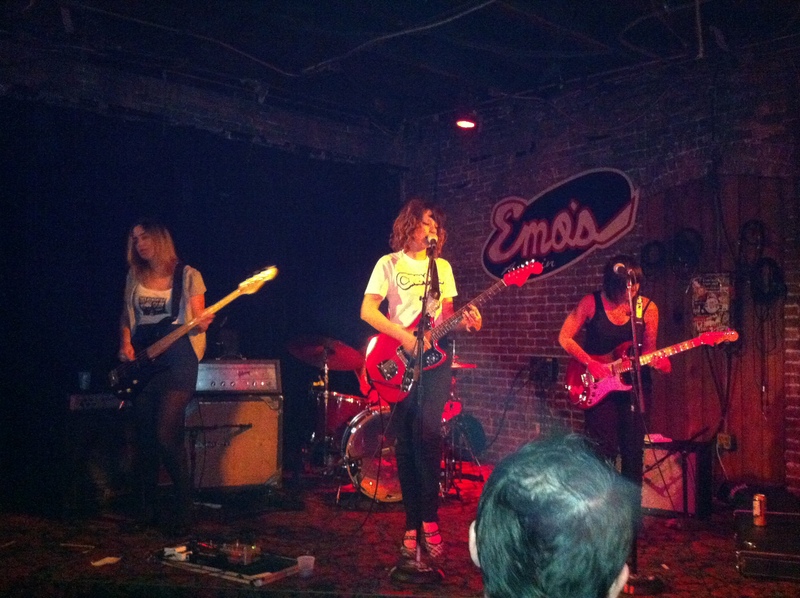 I’m promising myself to see them again before SXSW, assuming they play. The Boxing Lesson was playing outside, I’ve seen them pretty recently and didn’t feel like stopping as I started to stage-hop home. Artificial Heart were outside at Red 7 and they were playing pretty radio-ready modern rock. Earnest and inventive enough to throw in some nice rhythm changes and breaks, but it wasn’t hooking me. Basically the same thing applies to the punk-blues-rock of Snake Handler at Beauty Bar, except they didn’t really have anything unexpected in the three songs I stayed for. I’d never heard of Danny Malone, but damn if he didn’t have the Mohawk packed, with red balloons being batted around over an elbows-tight-against-your-body crowd. After seeing a bunch of bands bashing away, it was kind of a relief to hear just a singer and an acoustic guitar, and I don’t blame any musician who can have a room full of people hanging on his words for leaving it so stripped down. How much easier to just put one guitar back in its case after a show!? But after two songs, Malone’s set started to remind me why I was so shocked that I loved the Mountain Goats when I saw them back in 2003 or so. Dudes with acoustic guitars singing about heartache just aren’t usually my thing, and I left Mohawk to end a pretty good night of Free Week.